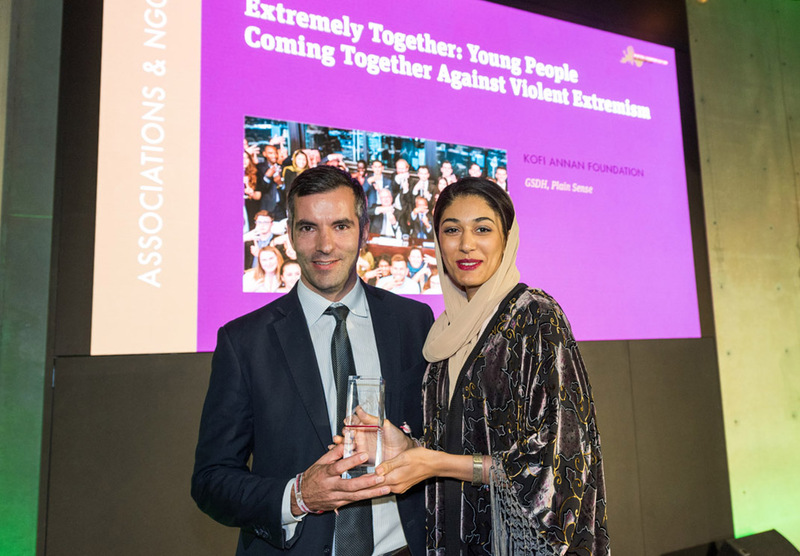 Extremely Together is a group of ten young leaders, all active in preventing and countering violent extremism in their communities and beyond. They were convened by the Kofi Annan Foundation to produce the world’s first guide by young people for young people on how to counter violent extremism YOUR community. As Extremely Together enters the next phase of engagement with and dissemination of the Guide, the Foundation is delighted to announce that the initiative has won the ‘Associations and NGOs’ category of the 2017 Digital Communication Awards for its year-long outreach campaign. On Friday, 29 September, our work was presented before a panel of judges, who announced the winning campaigns later that evening. We are honoured to have been recognised and hope our affiliation with the Award will bring the work of Extremely Together to new, diverse audiences. Click here to learn more about Extremely Together, and be sure to follow our ten young leaders on Facebook and Twitter for the latest updates!